The early days in a new position set the tone for future success or struggle. Executives face many challenges at once. They must balance learning about the new team, department or organization and its dynamics with the impressions they are making on others. They have to quickly understand the new position, new colleagues and their communication and operating styles, and they must work to build relationships. Discovering the way things really are as compared to what they expected can be challenging. The first 100 days in a new job can make or break the executive’s chances for long-term success. Executives need good listening, observation, planning and networking skills to make the best possible decisions in the first 100 days. Executives who are driven by ego risk overlooking valuable input from people at lower levels in the organization who can provide practical insights about the way things really work. It is critical for the new executive to identify informal leaders early so they can build support strategically. The “Sink-or-Swim” approach to onboarding new executives is obsolete and terribly ineffective, and often quite expensive. Progressive organizations realize that a well-orchestrated beginning has a positive impact on retention and helps the executive get up to speed quickly. Executives find it particularly helpful to have an external coach to help them manage the specific personal and professional issues that arise during the assimilation process. An external coach can introduce critical new thinking (strategic thinking) to the new executive so the executive can plan to optimize the first few days in the new position. A coach can also serve as an objective sounding board and bridge between the executive and others, making sure the individual receives the timely feedback needed to succeed. A coach will help the new executive find ways to be approachable and build solid relationships with people at all levels. A coach will help the new executive listen carefully not only to what people say, but what they don’t say. A coach will help the executive to identify people’s strengths and help them have some early wins under the new executive’s leadership. A coach will help new executives plan collaboratively with their new teams — people support plans they help create. New executives are often not prepared for, or even aware of, the challenges they will face in the months ahead. Based on the work of Dr. Michael Watkins at Harvard Business School and other leaders in the onboarding field, our coaching is designed to provide the new executive with a road map for stepping into a new leadership position quickly and effectively, by providing proven strategies that dramatically shorten the time it takes a new executive to “ramp up” in the new role. Balance personal and professional demands during the transition. Dr. Laura Belsten is founder and president of CEO Partnership, Denver’s leading executive coaching firm for over 14 years. Laura has coached more than 1,000 executives and other professionals nationally and internationally in one-to-one, group and team settings since 1996. She has earned a national reputation for her integrity, confidentiality, keen insights, and client satisfaction. 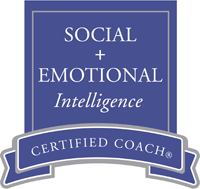 Laura is a Master Certified Coach through the International Coach Federation, the highest level of certification which can be earned in the coaching profession. She is Past President of the Denver Coach Federation. She has served on the faculty of the University of Denver for over 20 years, teaching graduate courses in leadership and communication. She has held a number of executive and leadership positions in the public, private and non-profit sectors.